Australian skim milk powder (SMP) made from fresh, pasteurized, skimmed milk has low fat content with great solubility, and comes in regular, instant, UHT or organic forms. SMP is used in confectionary, bakery range and dry-blended and formulated range of products. 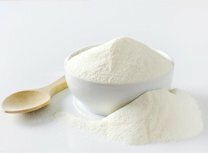 A variety of instant and fortified skim milk powder specifications are available.